As part of our Wednesday Live series at Obelisk Support, we hosted Graham Ellis, Assistant Commissioner at the London Fire Brigade, and Verona Clarke, Station Manager, Special Operations Group at the London Fire Brigade. Both shared precious insights on how their teams anticipate and react to crisis situations. The London Fire Brigade’s norm is to prepare for the unexpected. In a toxic paradox, firefighters have to learn to adapt in difficult situations in real time and with ever-decreasing staff and resources. By far their best weapon to avert risk is prevention. As part of its fire prevention campaign, the LFB carries out 80,000 home fire safety visits every year. Since 9/11, the LFB has created an Urban Search & Rescue team that covers victims of urban catastrophes. There is a plan for the event of a meteorite falling on Earth. As you can see, the LFB makes its set of responses very flexible but preparation without communication would be pointless. As GDPR recently showed, you can never be ready for every scenario but you can certainly have response mechanisms that kick in when emergency strikes. In fact, lawyers have long played a key role in helping clients to understand and mitigate risk which means that they’ve had to adapt over time to keep up with the evolution of risks. A recent study showed that over 80% of lawyers said that risks are formally reviewed at least every six months. Is 6 months enough? Is your law firm even doing that? From cyber security to industry compliance or legal exposure, a good risk management policy starts with an audit. If you don’t know where you’re starting from, you can’t set up preventive measures and that’s step 1 of managing any type of risk (also less expensive and stressful than dealing with a bad situation). Read these 5 Steps to Legal Risk Management and start planning for your legal meteorite. Then you can move on with your communication strategy – because risk management is a business-wide concern. The LFB wouldn’t be able to do its job without other agencies such as the police, government agencies or even the public. How do you alert the LFB to an act of terror if you’re witnessing one or seeing something that’s off? The LFB’s primary response to disasters is prevention via public awareness campaigns and relies on the cooperation of other parties to be efficient. In the case of an emergency, who you gonna call? 999. Write it down, just in case. It’s the UK number for emergencies. Please call it before filming to stream live on Facebook or Twitter. It used to be that legal teams operated as stand-alone satellites in big companies, checking in at senior level and dealing with documents that were mysterious and scary to all other departments. Today, legal departments are often part of their company’s business strategy and understand what they need to do to get deals done. At the end of the 1980s, the LFB employed 9,000 people, including 20 women and 80 BAME. As of 2018, the numbers have significantly shifted. The LFB employs 4,611 people, including 333 women and 606 BAME. That’s one fifth of the workforce today versus less than 1%. The LFB is working on a recruitment campaign to improve their diversity numbers and to offer not only flexible work options, but to retain minority and female staff by rethinking the promotion process. Recognising that they are a public-facing agency, the LFB strives to improve their diversity numbers both in offices and in operational teams. By having greater diversity in their teams, the LFB gets a collective of opinions that helps them get stronger and communicate better in a modern world. They need to engage with communities whose first language might not be English. Verona Clarke of the LFB does a lot of presentations at schools to show that the LFB represents the community, that women can be firefighters too. In her words, “the LFB needs the best of the best but it also needs diversity, the multilingual people who look and feel like everyone else.” That is true diversity. Listen to Verona Clarke explain what it means to be seen and be in her job. In many ways, the London Fire Brigade is way ahead of the legal profession on this aspect. The Attic and Obelisk Support stands in favour of diversity and regularly denounce how the legal industry has a major diversity issue. As the Solicitors Regulation Authority reports, women make up 48% of all lawyers in law firms and 47% of the UK workforce but in 2017, women made up 59% of non-partner solicitors compared to just 33% of partners or in the largest firms (50 plus partners), only 29% of partners are female. That’s only one aspect of the progress that needs to happen in the legal profession, with gender pay gaps in law firms at an all-time high, lack of diversity in executive boards and unequal rights for LGBTQ lawyers. First, believe in diversity and inclusion. Firms that offer an inclusive environment for a diverse mix for employees stand to innovate, grow and outperform the competition. Businesses with a healthy balance of men and women are 15% more likely to outperform their competitors, while those with employees from a good mix of ethnic backgrounds are 35% more likely, claims research by McKinsey & Co. You can start by taking 5 steps to empower women in law and by listening to the voice of those missing in your organisation. Since diversity is good for business, why wait? A lot of firefighters’ time is done training, responding to emergencies and learning standard operating procedures to stay safe. However, they operate in particularly dangerous places and it’s impossible for them to avoid compromising their physical health. Indeed, firefighters are 200% more likely than the average population to contract types of cancer and they work in a lot of environments that they cannot control with hazardous materials. That said, the physical training of firefighters is one of the most demanding in the world and if you want to get an idea of the strength and fitness tests, WorkingMums has an interesting piece on whether a career in the London Fire Brigade is for you. That brings us to lawyers, whose only physical test is being able to operate a computer. Safe to say, the two biggest threats to the physical health of lawyers are chairs and take-out meals. For one, sitting for lengthy periods is terrible for your body. Aches and pains are the least of your problems — sitting too much can lead to an early death. You face a higher risk of muscular-skeletal disorders, obesity, diabetes, cancer, heart disease, and more, even if you work out regularly. On the nutrition front, things aren’t all pink either. A 2016 study sponsored by the American Bar Association Commission on Lawyer Assistance Programs and Hazelden Betty Ford Foundation surveying nearly 13,000 currently practicing attorneys found that 21-36% of lawyers qualify as problem drinkers. As reported on The Attic in Why Lawyers Should Take a Proper Healthy Lunch Break, the legal industry is one of the worst culprits for late in the day take-out food orders at the office, with a huge 81% of orders placed at dinner time and an average order time of 8:44pm. Neither poor nutrition nor the lack of exercise contribute to a healthy lifestyle. Currently, fit lawyers like The Lean Lawyer, Backwards Guy or David Jones are the exception but they are an inspiration too and the legal profession needs more of them so we all get off our chairs and get our heart pumping. As Nike says, just do it! The other part of firefighters’ health is mental health and the post-workshop Q&A discussed the notion of resilience. For many firefighters, resilience is making do with a bad situation. Elina Grigoriou of Grigoriou Interiors, who was in the audience, expressed resilience as “bringing your head above water, not standing above water.” She wondered what Graham Ellis did to keep his own teams resilient. After seeing the response of colleagues to trauma over many years, Graham Ellis recalled the Soho pub bombing. Some of the people who were the most badly affected then were not the younger recruits but the ones who had seen it all before and had years of emergency preparedness. In modern days, fewer people are exposed to more and more traumatic events, the last drop goes into the bucket and the bucket starts to overflow. Mental resilience for firefighters is training for disasters, follow-up public inquests, debriefing and follow-up actions. In the 1980s, Ann Willmott built an Advisory and Counseling Team for the LFB that was groundbreaking and involved working with psychologists. Dany Cotton, LFB Commissioner, was at the Grenfell Tower Fire and saw first-hand the horrors and acts of selflessness that firefighters experienced. She went live on ITV to say that “it’s all right not to be all right,” which was the truth, plain and simple. These firefighters will never be the same, with many seeking professional help for their mental health. As explained on The Attic by Elizabeth Rimmer, Chief Executive of LawCare in Lawyers – Your Mental Health and Wellbeing Matter!, lawyers have higher rates of anxiety, depression and stress compared to other professions. It is the culture of the well-known poor work/life balance, the long hours and presenteeism, the competitive environment, the fear of failure and the driven and perfectionist personalities that can be drawn to law. All of this contributes to an environment that can make some people more vulnerable to mental health concerns. Mental health is a very important and unspoken part of the life of legal professionals that’s still taboo in many firms. If you’re not feeling right, you need to get professional help right now. Don’t delay and don’t underestimate how it could impact your life. Don’t wait until a drop makes the bucket overflow. When Graham started working at the London Fire Brigade in 1983, firefighters wore rubber Wellington boots, yellow plastic trousers, heavy woolen tuniques and gardening gloves. Protective equipment in 2018 is a far cry from 1980s standards and includes a full array of digital communications to assist with live interventions. Likewise in the 1980s, lawyers worked with paper and pen, didn’t have computers, let alone mobile phones, and faxed 100-page long documents to clients for signature. Their biggest security risk was probably a fire destroying client files and firm archives and secretaries did all their admin tasks. Today’s lawyers have become independent professionals who can work remotely with digital communication tools, people who rely on technology like everyone else and who have warmed to the idea of legaltech solutions such as smart contracts or artificial intelligence. It’s not Silicon Valley-level tech engagement just yet, but lawyers have definitely caught up with the 21st century and are working hard to get up to speed with their techie counterparts. 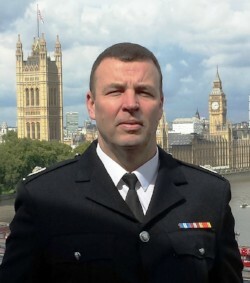 As Assistant Commissioner, Graham also heads up London Fire Brigade’s Special Operations Group and London Resilience Team, responsible for the preparations, training, response and recovery to a range of natural and terrorist related threats, and for overseeing fire service operations across the Greater London area. 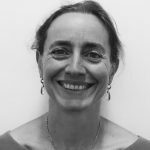 Verona Clarke is an Operational Station Manager, Special Operations Group at the London Fire Brigade, she is responsible for the brigades response to large scale events such as New Years Eve Celebrations, London Marathon and many other events. Verona is a frequent speaker at schools and a diversity champion at the London Fire Brigade.